No trip to Los Angeles is complete without a quick stop at the infamous pink wall, aka the Paul Smith store on Melrose. Sammy and I always have a blast shooting pictures in front of the gorgeous hue of pink, and even enjoyed a little people watching too. It seems to have become a pretty popular photo shoot destination - we saw everything from girls in Free People to some sort of trendy shoot to even a male model! Now, onto my outfit! I've been waiting forever to finally break out these awesome lace up sandals and love them even more than I thought I would. They're definitely different than something I would normally go for, but I really like wearing something a little out of my comfort zone. Another thing I'm clearly loving is this whole tassel trend that is everywhere at the moment. From my crossbody to my tee to my little pink bracelet, I can't get enough of this fun element! Tassels add the perfect texture to any look whether they're in a bold color or a more neutral shade like in my outfit. Are you loving tassels as much as I am right now? 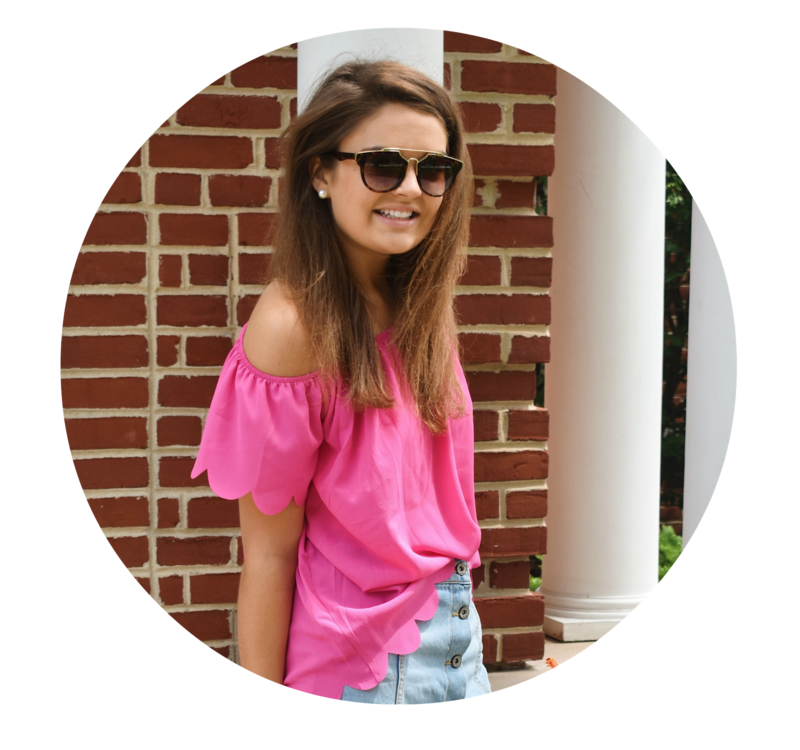 Check out Sammy's post for all of her outfit details! I love your top!! So cute! This was os much fun to shoot! Miss you so much, buddy!